We handle EVERYTHING FROM START TO FINISH. In the spring when we open your pool, we reconnect the filtration system, start things going, and check that all of the equipment is working properly. We install the ladders, handrails and diving board, fold and store away your winter cover and winterizing plugs, and add start-up chemicals. Have you been considering purchasing a new pool liner? 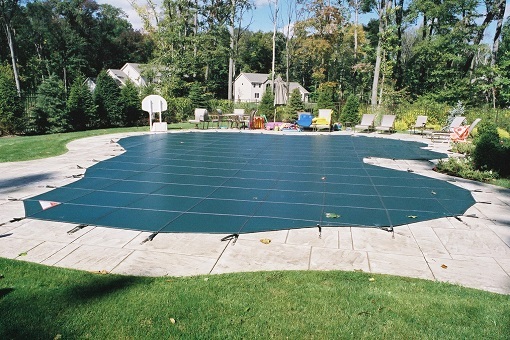 You can rely on Curtis Rogers Pools for reliable guidance and to walk you through the pool liner replacement process. We offer a variety of huge selection of quality liners with different patterns and thicknesses to suit any style. 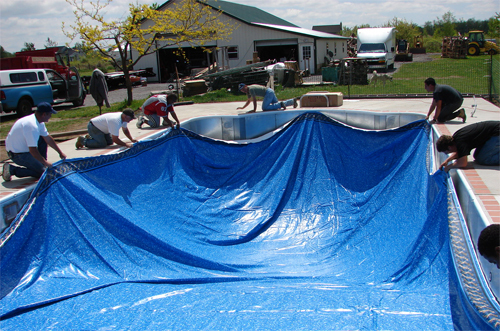 Each of our liners is custom measured to fit your pool. Your satisfaction is our top most priority. You will be able to choose from a variety of liners with different patterns to match your lifestyle. There are many advantages to both safety and regular covers. However, an improperly installed or adjusted cover can affect the functionality and lifespan. We install both types of covers and detail proper maintenance and care. We also sell brand-new safety covers measured to pool specifications and can even have a new one created from a template of your old existing one. 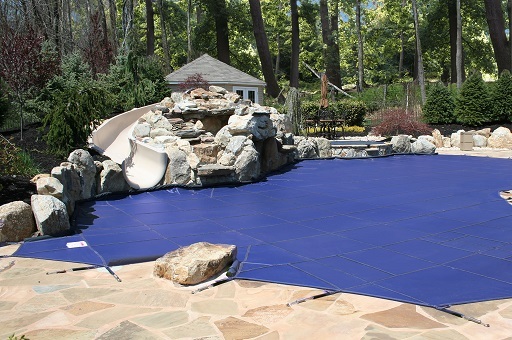 Rogers Pool replaces springs, anchors, cover panels, or entire covers to fit existing anchor arrays. We can extract and replace seized or stripped anchors. Small holes in a safety cover can be patched on-site!